Painful menstruation or Dysmenorrhea is when menstrual periods are accompanied by either sharp, intermittent pain or dull, aching pain, usually located in the lower abdomen or pelvis. ProSoothe helps to relieve the symptoms associated with painful menstruation. It contains wild yam which contains anti-spasmodic properties that have shown to be reduce menstrual cramps. To reduce bloating and stomach upset that is often associated with menstrual cramps Ginger root extract has also been added. 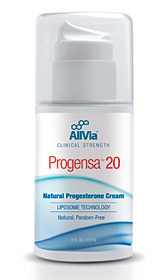 Bioidentical progesterone cream helps with menstrual cramps by balancing excess estrogen levels. Too much estrogen causes menstrual cramps, backaches, headaches, mood swings and irritability by supplementing with progesterone cream estrogen levels come down thereby reducing symptoms.